What Is an Antipasto Bar? The salad and bread and butter plates are slightly different in size and position. 4 What Is an Antipasto Bar? The number of dishes involved in a place setting can sometimes seem a little bewildering. The main dinner plate, or place plate, is obvious enough, and it's easy to identify the soup bowl, but smaller plates such as the salad plate or the bread and butter plate can be easy to confuse. Not every formal meal will have both of these plates, but when faced with them, it's important to know the difference. If the salad plate is on the table at the beginning of the meal, it will be at the left of the place setting, just to the left of the forks. Salad plates are smaller than the dinner plate, but still relatively large at around seven to eight and a half inches in diameter. 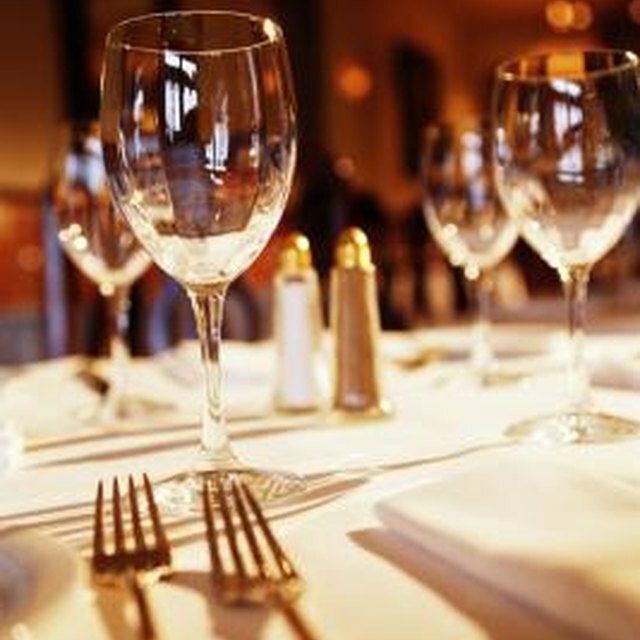 A salad plate on the left of the forks is characteristic of an informal dinner; at a formal dinner, it will be brought to the table when the salad course is served. The bread and butter plate is smaller than the dinner plate, typically about the size of a large saucer. It sits to the left of the place setting, above the tips of the forks, and keeps the bread out of dishes where it may be soaked by gravy or sauce. A butter knife typically rests on this plate, indicating its purpose. Bread and butter plates are more common in Europe than in America, but not always present in either case. Both the salad plate and the bread and butter plate are smaller plates that sit to the left of the main place setting. It's simple to distinguish them, however, because of their slightly different locations. The bread and butter plate should be above the main plate and to the left, while the salad plate will be directly to the left. If the bread and butter plate is directly to the left, this means that there won't be a salad course, or that the salad will be served as part of the main course. Be careful not to confuse the bread plate with the dessert plate, which sits directly above the dinner plate. 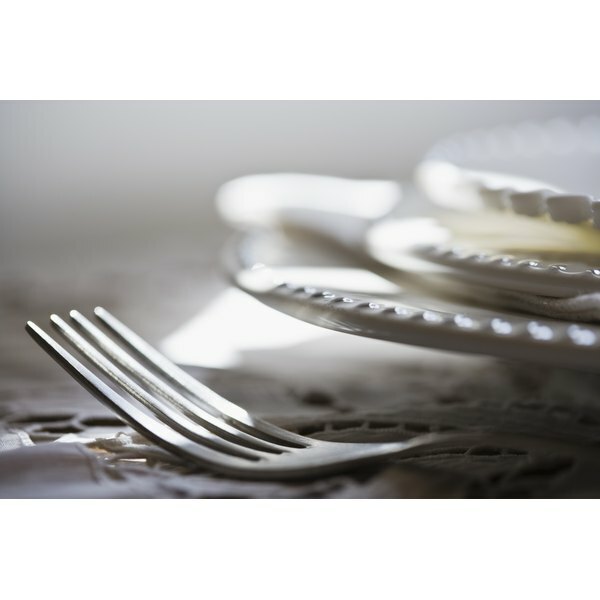 Although the salad plate is typically on the left, with the bread plate above the forks, there are some variations in serving. For instance, both may sometimes be above the dinner plate and on the left. Alternatively, the salad plate may begin the meal on top of the dinner plate. What Is the Proper Way to Eat Bread at a Formal Dinner?